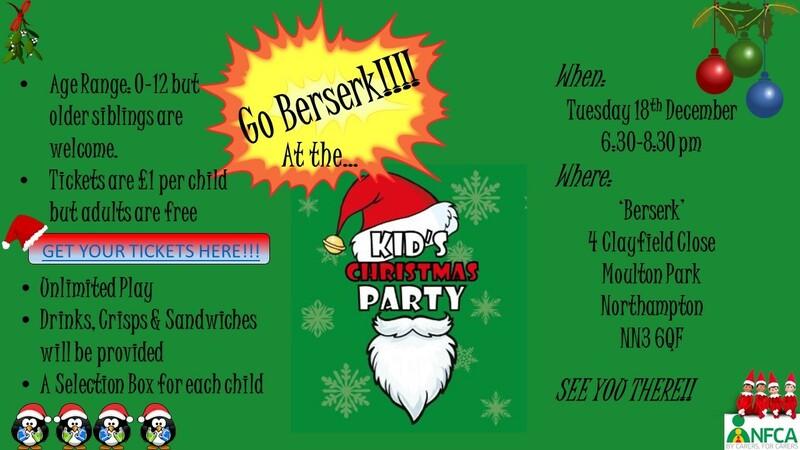 Go BERSERK!! NFCA Childrens' Christmas Party! I would like to receive occasional information and updates from Go BERSERK!! NFCA Childrens' Christmas Party! and jumblebee. 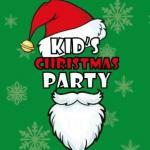 What: Following on from the great party the kids had last year, we're doing it again!! 2 hours of play with crisps, drinks and sandwiches (but do have your tea first as they're going to burn off a lot of energy!) There'll be selection boxes for each child too. Tickets are a nominal £1 just to secure the place but adults and non-walkers are free.